The Muset by Ronnie, Bristol and Ronnie’s of Thornbury are defying the stereotypical chef-dictated concept of ‘the tasting menu’. Instead, diners will be offered the opportunity to order a smaller version of starters from the a la carte menu and decide their own tasting menu. This new way of dining (more akin to Tapas or grazing) is a supplement to Ronnie’s traditional fare. It will make for a wonderful way to while away the summer evenings alongside great wine and great friends. The idea of the west country tapas menu is to inspire a more informal style of dining and will demonstrate the fantastic range of local produce Ron incorporates into his cooking. This menu is designed to encourage groups of friends or colleagues to come in for a relaxing glass of fine wine and share some tapas as an alternative to more formal dining. All of Ron’s dishes are also available as a smaller, starter-size portion. The new menu features smaller sharing plates, generally priced at around £3 – £5 per dish. 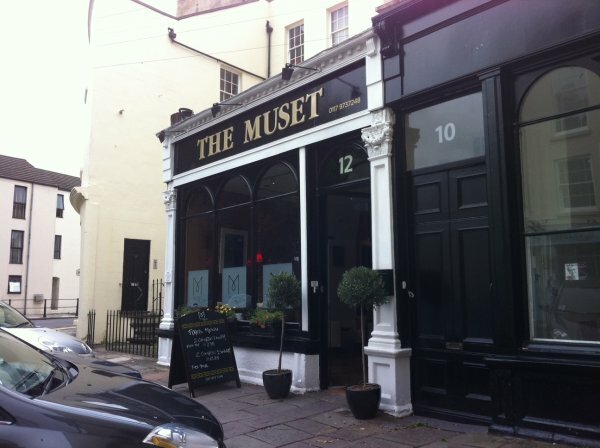 To celebrate the launch of the new menu, Bristol Bites readers can enjoy 25% off food at The Muset By Ronnie until the end of June, 2012. Please note that this offer excludes Friday and Saturday evenings. Booking is required for this offer – simply quote BB247JUNE when booking your table. For details of how to book, visit the Muset website.